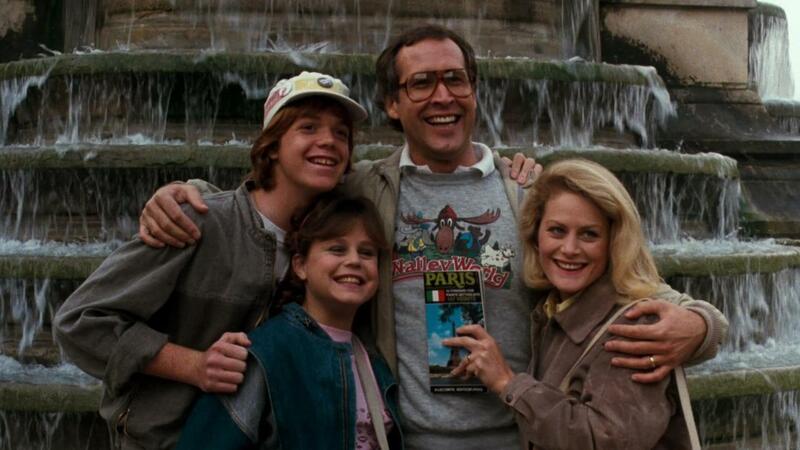 An imbecilic comedy, European Vacation is a braindead exercise in crass antics. In Chicago, Clark Griswald (Chevy Chase), his wife Ellen (Beverly D'Angelo) and children Audrey and Rusty (Dana Hill and Jason Lively) compete on the Pig in a Poke television game show and win the grand prize: a trip to Europe. Ellen dreams of romancing her husband, the overweight Audrey is horrified that she has to leave her first boyfriend behind, and Rusty daydreams of meeting attractive European girls. Clark just wants the family to enjoy their time together. The trip starts in London and moves to Paris, Germany and then Rome. At every stop everything that can possibly go wrong does go wrong, ratcheting up the tension between the four family members. But Clark soldiers on, determined to have a good time no matter what. Directed by Amy Heckerling, the first sequel to National Lampoon's Vacation is a wretched film. Utterly devoid of laughs and featuring an endless parade of stupid behaviour compounded by atrocious acting, European Vacation aims for bottom of the barrel jokes: Clark causes three crashes within one block of driving in London. Clark is unable to drive out of a roundabout, stuck circulating for hours. Clark's language skills are mocked by a French waiter. Instead of a romantic evening Clark insists on taking Ellen to a cheap cabaret show, where he behaves like a horny teenager. Clark transforms a Bavarian folk dance into a brawl. In between the tiresome episodes of Clark being a doofus are churlish jokes involving Audrey either endlessly pining for her boyfriend or surrendering to food impulses, while Rusty allows lust to guide his vacation. By the time the family gets involved with some cartoonish villains in Rome, the end of the vacation cannot come soon enough. This may all be a commentary about American tourists living down to all expectations while abroad; but it's also a painful 94 minutes of bad slapstick, the search for a singular genuine funny moment anywhere on this European Vacation concluding in abject failure.